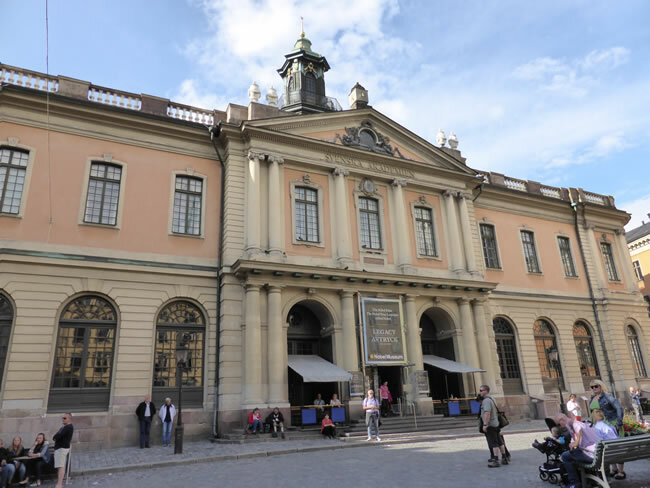 The Nobel Museum was once the Stock Exchange. It was commissioned by King Gustav 111 and built in the 1700s on the site of the former city hall. The Nobel Museum displays scientific models, films and explanations of how the Nobel Prize winner is decided.